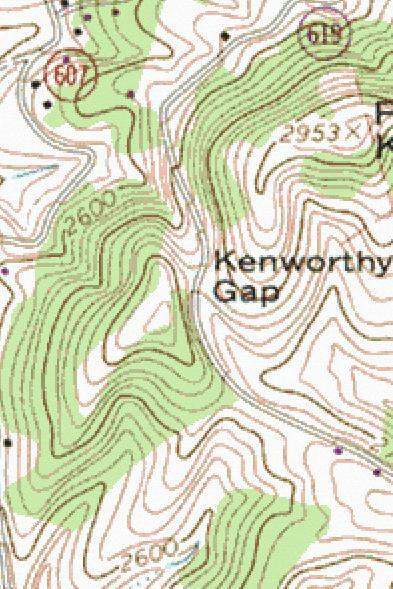 "Gaps" are to mountainous terrain what fords are in the piedmont. They are the critical "chokepoints" through which traffic must pass. Like fords, some gaps are better than others; easier to get to, easier to get through, safer. So, calculating the earmarks of critical gaps is important. Any suggestions to that end will be appreciated. 1. 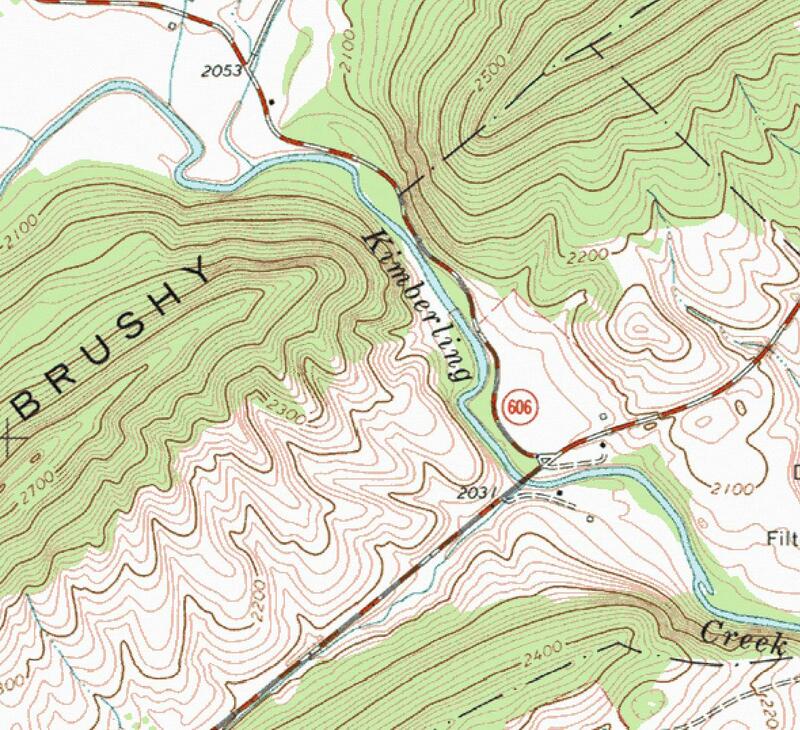 Many, perhaps most mountain gaps are unnamed as such on USGS topographical maps. 2. Gaps come in two varieties; "saddle gaps" and "water gaps". Of these two, water gaps (if they can be safely navigated by water or by foot, horse, or other conveyance) are preferred as they require less climbing than do saddle gaps. A water gap that occurs off the line of march between two important destinations, though, is less important than one that services the needed course of travel. 3. Saddle gaps, low saddles between two peaks or ridges, are attractive in proportion to their lower elevation relative to surrounding terrain, the quality of the approach climbs on each side of the "saddle", and their proximity to a line of march between to destination points. A. What are the characteristics of a safe route, one along which one's enemies or opposing authorities are less likely to be able to interfere with free travel? B. Many South Carolina treaties with Native American groups included clauses by which the Native American group retained ownership of or rights in certain fords; were there similar arrangements regarding mountain gaps? C. How did Boone, et.al. know which passage would be safe? Native guides and/or informants? D. Were some gaps monitored continuously and some monitored but sporadically? E. Did Native Americans in the colonial era ever charge "tolls" for safe passage through choice passages? F. Were there so many gaps that closing one or another was a futile waste of resources? G. Every route has points of no return, junctions at which a choice of trail commits the traveler to using one gap or ford rather than another. If these junctions were the points monitored by authorities, perhaps the intelligence thereby gained granted time to properly position an ambush? In the mountains of the southeast, where were they, and what are their key features? Obviously, as with most common muscle powered transport technology, when it comes to travel in mountainous terrain, we have more questions than answers. . So, please, share what you know so that, together, we may know something of use. Interesting thoughts. I'll have to come back when I have more time.